Description: The walnut tree can reach a height of 100 feet. It prefers a protected place, for example by hedges or also in larger gardens. The bark is smooth, in older trees furrowed. 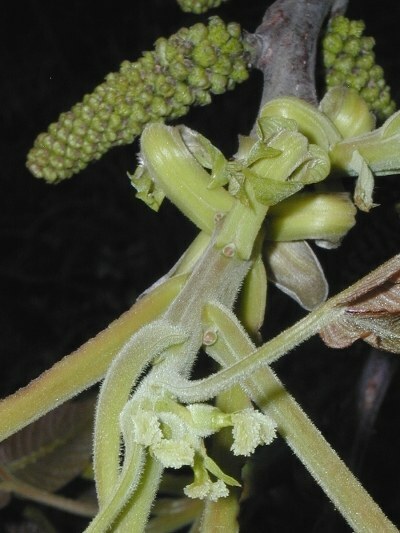 The male flower catkins are very numerous and yellowish-green, the small female blossoms are green and bottle-shaped. Both grow on the same tree. It blooms in May.